What is the Best Portable Fish Finder? 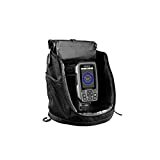 A portable fish finder can get to places a regular fish finder cannot get to. If you can’t permanently mount one to a boat, or you don’t want to, portable options are a great way around this. They are great if you are using a small boat, taking on trips or if the boat you are using isn’t yours. 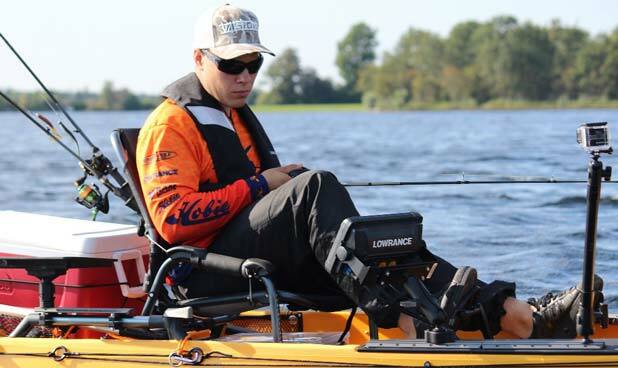 A portable fish finder affords you greater flexibility when you are fishing. You don’t need to worry about the kind of boat you are in, and there is no reason to go to the trouble of mounting it. You can jump in your boat and get going right away, and portable options are often much cheaper. Portable versions are great if you are going to be kayak fishing as they afford greater freedom. They are very easy to use and are perfect for beginners. Our list of portable fish finders reviews will help you find the right one for you. Regular fish finders used to have better graphics than the portable devices, but over the years they have significantly improved. There are also options to have Bluetooth and WiFi connectivity so you can connect with your phone while you are out on the water. Bluetooth and WiFi options are no longer limited to your larger and more expensive devices, so you can easily connect with your phone and post your results on social media. However, regular fish finders tend to be larger and therefore have bigger screens. If you are looking for a device with ultimate visibility and screen quality, you will need to look at a regular version. The displays on portable devices are still good, but if you are looking for a screen with photographic quality, a regular fish finder will be the right option. If you are going to be using your fish finder regularly and have been using one for a while, you may wish to purchase a regular option. They can be more intricate and a bit harder to use, and often come with more options and add-ons than a portable fish finder. Depending on how tech savvy you are and what you are going to be using it for will help you decide whether a portable version is right for you. The Humminbird has a 4-inch monochrome display and is back lit. This makes it easy to use in all light levels and simple to interpret. The display is not color, and it uses simplistic graphics, so if you are looking for images that are more photo-like, this option might not cut it. It uses a single beam sonar to give you an accurate display of the objects and fish beneath you. Humminbird portable fish finders come with a purpose-made case to keep your device safe. This device is waterproof and comes with water temperature display, allowing you to accurately read your surroundings. 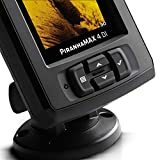 Is this the best fish finder for the money as there are no connectivity functions such as wifi or Bluetooth. As the name suggests, this fish finder is military grade. It uses Bluetooth to connect to your smartphone or tablet, and the Bluetooth casting range is up to 80ft. The depth range is up to 100 feet, for ice fishing, it is 60 feet and to track jig is up to 30 feet. This device comes with a charging station, a mini USB cable, a manual and a carry bag. 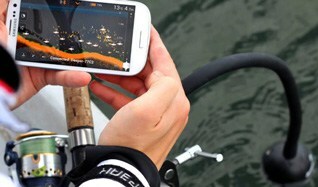 There is fish finder app for iPhone to be used alongside the device. You can use this app to record information such as the type of fish you have caught, the weight of the fish and the length. You can also take photos and save them with the information you have recorded. A FISH FINDER ON YOUR PHONE: FishHunter 3D transmits sonar data to an app on your mobile device giving your a quick, reliable, and easy-to-use fishfinder you can take anywhere. NO DATA CONECTION REQUIRED: Better than Bluetooth, the WiFi connection between FishHunter and your smartphone or tablet does not require a cellular or internet connection. MULTIPLE FISHING VIEWS: Quickly check water depth and find fish with Directional Casting View or Ice Fishing view. CREATE CUSTOM MAPS: Create custom color contour charts or structure maps of your favorite fishing spots. INTEGRATED LED LIGHT: FishHunter 3D is easy to see during early morning/nighttime conditions due to an integrated LED light. You can log locations on the map so you can return to your favorite spots with ease. This handheld fish finder is small enough to fit in your pocket, and you can find the best location to fish with the water temperature reading. One of the major negatives is having to use your phone to make use of this device. If you are in a kayak, for example, you may not be wanting to take your smartphone out on the water in case it falls in or gets wet. If you are going fishing to disconnect from the online world, making this iPhone fish finder out with you isn’t ideal for relaxation. This Garmin portable fish finder is straightforward and easy to use. The installation process is easy, and the keypad has dedicated buttons for ease of use. This device is available in different display sizes; 3.5 inches, 5 inches and 7 inches. This gives you the option to go for a smaller and lighter option if space and weight are an issue. You can also opt for a larger display to make for easier reading. You can use the waypoint map to navigate to locations, and you can mark locations on the map so you can quickly go back to them at a later point. Waypoint map - use the waypoint map to easily view, mark and navigate to locations such as brush piles, stumps and docks. This fish finder uses CHIRP sonar to send a continuous stream of frequencies which gives you more detailed information. You can also switch to view your information in flasher format, which is ideal for ice fishing. It comes in a portable case; making is a great option for kayak, canoe or ice fishing. You also may upgrade to a higher performance CHIRP. This fish finder gets fantastic reviews, and in our opinion, it is the best portable fish finder for kayak. Your choice of fish finder will ultimately depend on the type of fishing you are going to be doing and how you are going to be doing it. Portable fish finders have a great number of amazing features, and above all is the flexibility they provide you. You can go anywhere and everywhere with them. There are options out there whether you want a straightforward and easy to use the device or one where you can connect to your phone and share updates on social media.